Short Bytes: RFID technology has been used to track animal movements for almost 20 years but in recent years an increased trend of using it on humans has been observed. 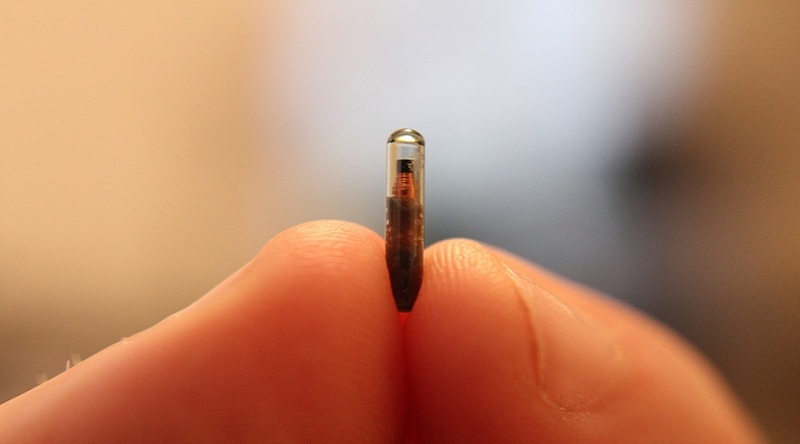 An RFID chip fitted inside a glass tube is inserted into a human body which allows him to access buildings and operate other compatible devices without even touching them. We use RFID tags on animals to track their location and movement habits while they’re busy with their jungle jobs. Twenty years have passed since we started inserting RFID chips into tigers, lions, and other members of the wild family. You might have encountered the power of RFID when you were trying to sniff some items at the supermarket and suddenly the alarm rang. Nowadays, an incline towards implanting RFID chips into the bodies of social animals a.k.a. humans has begun. To know about the very first RFID implant in a human body, it would require us to time travel back to 1998, when Kevin Warwick, a British scientist, did an experiment to test how human body would respond to an RFID implant. A chip was lodged inside Warwick’s hand and then he became “Captain Cyborg” – a title given to him by The Register. With his bare hands, he could open doors, switch on a heater, turn on lights, and control computer connected devices in his vicinity. 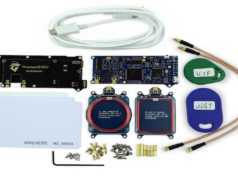 RFID or Radio Frequency Identification is an Automatic Identification and Data Capture method which uses radio waves to detect and identify tags attached to various objects. 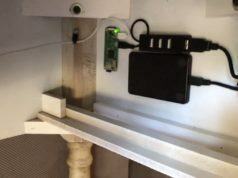 An RFID system comprises of a reader and a tag. 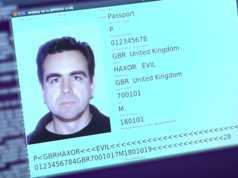 The reader identifies the unique ID number stored in the tag which serves as the authentication key to a database saved on an external device. The database linked, contains information about an individual, like personal details, medical history, bank account details, and so on. It can also be used to store product information for the items kept in stores. Talking about the microchip implant – which turned Warwick into Captain Cyborg – it is an RFID transponder that subsumes an integrated circuit and an antenna packed inside a silicate glass tube of the size comparable to a rice grain. It is implanted into the body of an individual, mostly in the hands for easier use. The integrated circuit handles the job of storing and processing the information as well as modulating and demodulating the radio-frequency signal. On the other hand, the antenna is used for communication with the reader which is accomplished by sending and receiving signals. Most of these chips are unencrypted. Thus, an unauthorised access to the data stored on these chips can be performed easily, even without the knowledge of the human host. Such happenings may lead to cloning of the device signal and using it for impersonating the host. Also, these chips are prone to virus infections. This was communicated by a British scientist named Mark Gasson, who had an RFID glass capsule implanted in his left hand in 2009. In 2010, his team demonstrated how easily a virus program could attack the glass capsule. After that, he became the world’s first person who got infected by a computer virus. Also Read: What Is The Difference Between HTTP And HTTPS? ….and the list goes on. For the future prospects, scientists are looking forward to adding GPS functionality to the tiny glass capsule-fitted RFID tags. This will help in finding the location, speed, and direction of movement of the humans lodged with the RFID microchip. Though, such technology is not feasible as of now. The people working at Epicenter have the option to get the chip inserted and get rid of the traditional ID card that has been in use till now. This will allow them to access the building, pay for coffee, and operate the common printer, just by waving their hand. The RFID technology has a long journey to cover, to be an integral part of the human body. People still feel more comfortable with their plastic cards. It is not much far when the RFID technology will replace the conventional payment methods and will be used to find missing persons, detecting explosives, or used by the government to chase whistleblowers like Edward Snowden or founders like Peter Sunde. For now, people don’t feel comfortable to have a glass capsule living in their body – of which they know nothing about – just to open doors and pay for coffee. Write your views in the comments section below.